Tuna fillets preserved in olive oil and curry, from the island of São Jorge. Can of 120 grams. Tuna caught in the Atlantic waters with hook and line, through a century-old traditional fishing art known as "jump and pole" fishing*. 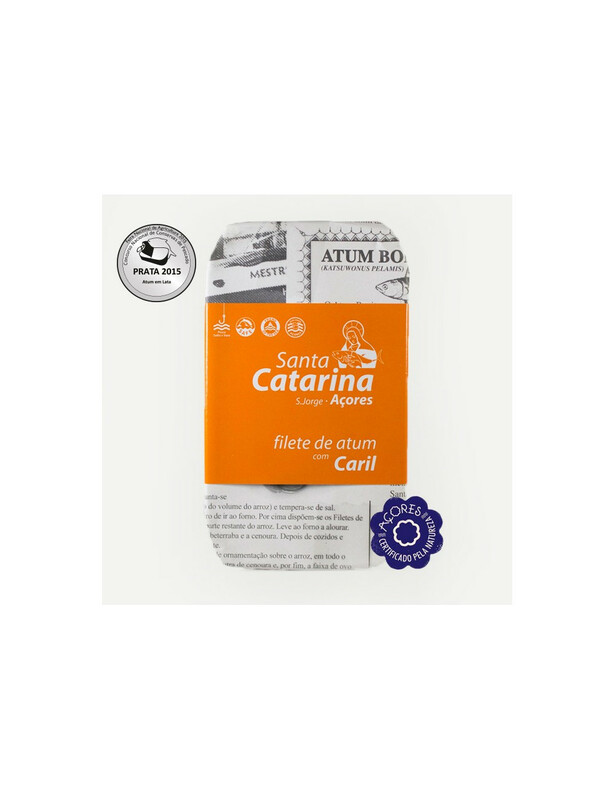 Afterwards, the tuna is cooked in brine, according to the tradition of the old cannery on the island of São Jorge. As a result, a tuna with unrivaled flavor and texture. * selective method for a top quality fishing and proper preservation of the species. Ingredients: Tuna, olive oil, curry and salt.